She waited for the glass slipper, but it never came. So Lucy in the sky with diamonds became her pseudonym. Los Angeles based of Verona, whose members hail originally from Toronto and New York, are fronted by charismatic female lead singer, Mandi Perkins, and multi-instrumentalist and producer, Dillon Pace. The band recently released their debut album, The White Apple, which was written, produced and mixed by the band at their Hollywood studio. The album is a collection of songs about realizing what is real and what is an illusion and learning to tell the difference; It's about letting go of the things that cannot be changed. The name of Verona comes from Shakespeare’s earliest known play, Two Gentlemen of Verona, which has the smallest cast of any of the Shakespeare plays. The band imagined it as the underdog of sorts, surviving on the sheer virtue of its story. of Verona's sound can best be described as a blend of futuristic/indie rock with an electro pop heartbeat. 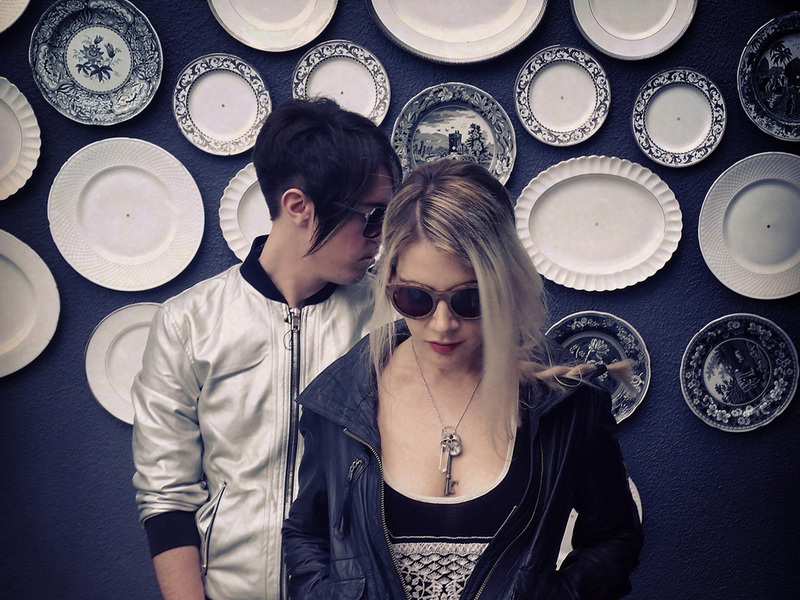 Their song Dark In My Imagination is currently receiving considerable play on specialty stations such as KCRW, has over 650,000 plays on SoundCloud and over 1Million plays on You Tube online, while Kat Corbett at KROQ championed their song Castles. Mandi recently inked a publishing deal with Zach Katz at BMG Publishing and Dillon with Ron Perry at Songs Publishing and they have had over 20 TV synchs since the release of their album on shows such as Grimm, Pretty Little Liars, Teen Wolf, and Stalker. The band is also currently being featured in Sennheiser’s ad campaign for their new Momentum Headphones along with Disclosure and Imogean Heap.